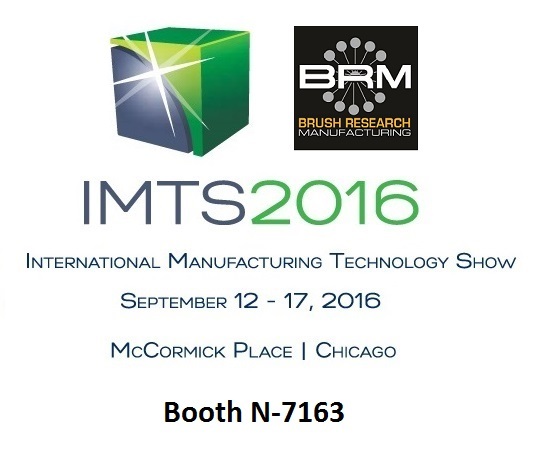 Brush Research Manufacturing (BRM) will exhibit industry-leading solutions for metal surface finishing, deburring, cleaning, and polishing at IMTS 2016. From September 12 to 17, BRM will showcase Flex-Hone® tools, NamPower technology, and other surface finishing and deburring solutions in Booth #N-7163. Are you serious about solving surface finishing challenges? Would you like to learn how to improve part quality, reduce costs, and speed operations? Then request a meeting at IMTS with the BRM Technical Team. Learn how the inventor of Flex-Hone® technology can help you. Here are some more reasons why your IMTS tradeshow plans need to include a visit to BRM in Booth N-7163.